If your floor is warping or your seats need replaced give us a call to set up an appointment for a quote and repair. We’ll also replace your worn seat foam and seat covers. Our body shop is equipped to handle just about any type of repair your vehicle may need. 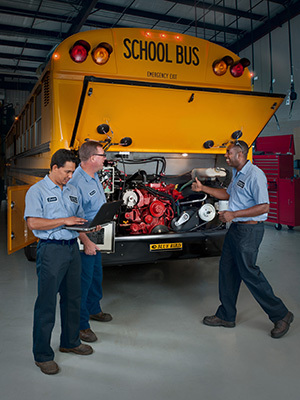 Whether your bus just needs a new paint job, custom paint and custom lettering or repairing and painting collision damage, we’ll make it look like it never even happened.